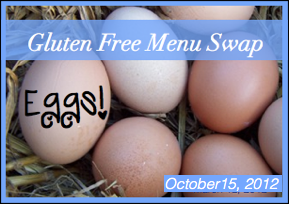 This week I am hosting the Gluten Free Menu Swap. 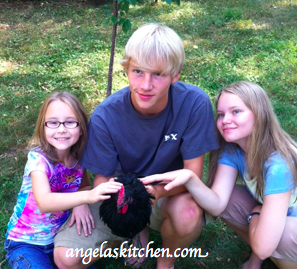 I picked eggs as the theme, because, well… I thought my chickens would be laying eggs by now. They aren’t. Boo-hoo! However, my neighbors a few houses down who have chickens born the same week as ours got their first egg on Saturday. So I have hope! I know not everyone can use eggs, so I have and article on how I substitute eggs in baking. Naomi also has a great egg yolk substitute made fromBetter Batter Flour to help you out. As we may be having eggs soon I would love to hear your favorite ways to use eggs! Freezer cooking plan for the week: I am actually not going to be cooking up a lot extra this week… Instead I am going to work on organizing my freezer and taking a little inventory of what I have on hand. It has gotten a bit crazy in there, so a little clean up is in order. I am also developing a fun pumpkin-y Halloween fun freezer menu for you all, so keep an eye out for that next week! The week’s breakfast options: Sausage and Egg Biscuits, pancakes(made egg free and from the freezer), eggs scrambled with veggies and various fruits. The week’s lunch options: Nut butter and sunbutter sandwiches on Egg Bread or turkey and avocado on Ciabatta Bread, hard boiled eggs, various fruit, and veggie sticks. Apple Sausage Quiche (full sized so increase baking time and keep an eye on it, and made with half regular potato, half sweet potato) and a big salad. For dessert I will be serving Slow Cooker Baked Apples. Next weekend I am planning on cooking up some Blueberry Breakfast Cakes and Mini Zucchini Muffins. Yum! 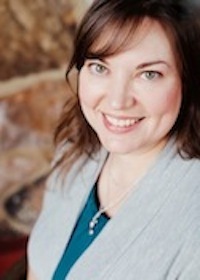 Heather at Celiac Family uses eggs quite a bit in their meals. This week she’ll be making French toast casserole as well as scrambled eggs. She has the cutest meringue cookies on her sight shaped like ghosts, Christmas Trees and Duckies. Squeal! For dinner this week Heather is serving Paige’s Creamy Chicken, pizza, Chicken Nuggets, Eggs and Hash Browns Casserole, Tropical Fruit Salad, Fish Sticks, and Flank Steak. Sounds delicious! Samantha at Awkward Girl Gets Fit is serving up a delicious paleo menu this week of Jerk Chicken and Pineapple Bowl, Tuscan Chicken with Roasted Green Beans, Lasagna (she’ll be trying one with eggplant and zucchini for her), Rosemary Pot Roast and Cauliflower Butter Rice, Butter Chicken with wilted spinach, BBQ Beef and Fajitas. Such a great menu! Lisa at Extraordinary Life has a fun link to how to hard “boil” eggs using muffins tin and baking in the oven. You could get a lot done at one time that way… 🙂 Her family is off camping this week, so she’ll be doing prep for that this week. During the week she will be serving Asian Style Pepper Steak over Cauliflower Rice, Green Leaf Lettuce Taco Dinner, hot dogs,and Paleo Chicken Pot Pie. You have to check out her camping menu. It is amazing and includes everything from pre-made Almond Flour Pancakes to Paleo Graham Crackers and Almost Paleo Corn Free Marshmallows. Awesome! The Prudent Patron has just started eating paleo and is using the Whole 30 to help her jumpstart into it. She has all kinds of tasty items for her menu this week like Sundried Tomato Basil Meatballs with Roasted Asparagus, grilled chicken breasts, steak lettuce wraps tacos, pumpkin and carrot soup, almond chicken with sweet potatoes and broccoli, and Salmon with Cherry Tomato Salsa and Asparagus. A delicious start to paleo! Need more menu planning inspiration? Head over for Menu Plan Monday at Organized Junkie. For an awesome month long gluten free money saving menu, see Melissa’s October plan at Stockpiling Moms. Thanks for hosting this week. I hope you start getting some eggs soon! Here's my menu this week: http://celiacfamily.com/menu-plan-october-15-eggs/. I'm making French toast for breakfast this morning. Wish I had put it in the crockpot so it was all ready this morning! Fortunately, my kids are on fall break this week, so I have plenty of time to cook breakfast today. Sounds like a delicious week of food!! I'm with the above poster, it's fall break so lots of time to cook this week, thanks for the ideas! 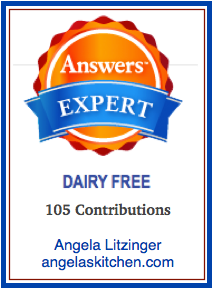 So glad you linked that apple sausage quiche! I've been craving something like that =] I don't have any egg recipes on my menu plan this week, but here's a link to my gluten-free menu plan: http://wp.me/p2GN4Y-49. My parents chickens aren't laying well, either, and my dad is threatening them with a big chicken fry if they don't start up soon. I'm not sure they're taking him seriously! 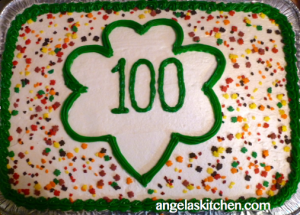 awesome cake! I wish I could eat eggs--they're so easy and versatile. I feel grateful that we can, though I rotate them so I only use them every-other time I bake. I can't wait to get some home grown eggs from my sweet chicks. I thought I would like having chickens, but it turns out I enjoy it even more than I thought I would. They make really sweet sounds and are very funny and curious. Lots of fun!